Depending upon how your freelancing business is set up, you could end up filing more than one tax return. That’s because some business entities require separate tax returns. However, for most one-person operations, you can set up your business so as to avoid having to file a separate tax return. No matter how you decide to structure your new business, here are a few basic tax tips that will make tax time easier and less stressful. RELATED ARTICLE: WHAT ARE THE PITFALLS OF WORKING AS A FREELANCER? As a self-employed person, you will not receive a W-2 at the end of the year. On the other hand, regular clients who have paid you a total of $600 or more for the year will probably send a form 1099. However, you are responsible for keeping track of your income, even if you do not receive a 1099. Keeping track of your earnings is one of those basic tax tips that you must adhere to. What’s more, no federal, state, or Social Security taxes will be deducted from your earnings. Therefore, you will be responsible for paying those at the end of the year. Further, all self-employed taxpayers in the U.S. are required to pay self-employment tax. This is the self-employed person’s contribution to Social Security. The amount of self-employment tax is approximately 15% of your net self-employment income. It is distinct from your regular income tax, which we will discuss below. Since your income will have no regular withholding, you will need to pay quarterly estimated taxes. 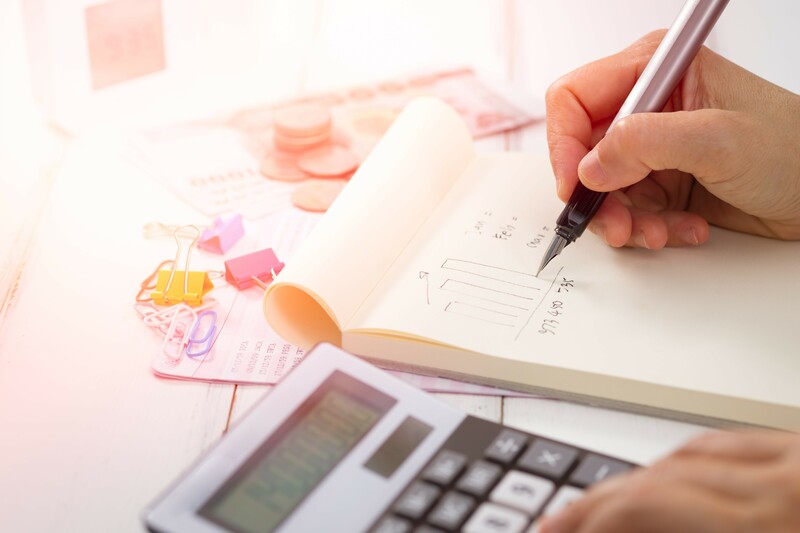 What’s more, if your final tax liability is significantly higher than the estimated taxes you have paid, you might have to pay penalties and interest. The best way to avoid a large outlay and any possible penalties at tax time is to set up a separate bank account for taxes. Every time you earn a fee, deposit 15% into the tax account. Then use this account to pay your estimated taxes. Regular self-withholding will help avoid any unpleasant surprises on April 15. In addition to your self-employment tax, you will have to pay regular income taxes on your net income. Your net income is the amount of profit from your business after business-related expenses. These expenses could include office supplies, travel to and from clients’ places of business, insurance premiums, business licensing fees, and advertising costs. Seek legal advice relating to setting up or running your business, as those fees could also be deductible. One of the most difficult things about leaving a job to start your own business is the prospect of losing your health insurance. Fortunately, there is a tax deduction available for self-employed individuals who purchase their own health insurance. This is another of those basic tax tips that will be good to keep in mind. Keep a mileage log in your car, or download an app to keep track of your business-related mileage. You can claim business-related mileage as a business expense. The rates sometimes change from year to year. However, it is currently set at 54.5 cents per mile. Having a written record of your business miles will be important if you ever face an audit. As a business owner, you may deduct business-related travel expenses. This can include mileage, airfare, hotel expenses, and meals while traveling for business. Even if you are not traveling but want to take a customer, potential customer, or colleague out for lunch, the costs may be deductible. Many people who work at home take a deduction for a home office. The deduction for a home office is based on the size of your office relative to the total size of your home. It can allow you to deduct a portion of your mortgage payment, taxes, and insurance payments. This is a legitimate deduction. However, it can trigger extra scrutiny by the IRS, and it will lead to an audit if you don’t do it properly. It is best to consult with a tax professional before taking a home office deduction. The easiest way to keep track of your tax-deductible business expenses is to keep business and personal expenses as separate as possible. If you want to take a deduction for a home office, for example, you cannot use the office for anything that’s not related to your business. For example, you may not store any personal files in your home office. Nor can you use the office to conduct personal business. You might even want a separate computer, printer, phone line, and office supplies in your home office or in your office space. Most small home-based freelancers do not take the trouble to separate office supplies. However, the more separate your personal and business expenses are, the easier it will be to determine what expenses you may deduct at tax time. You can consider setting up a business entity, such as a corporation or LLC, for your business. A separate legal entity can make it easier to separate business and personal expenses. Different types of business entities will provide different levels of protection from legal liability. Learn more about the various types of legal entities by setting up a consultation with a business lawyer. Your legal fees will be tax-deductible. Throughout the year, keep these basic tax tips in mind. Then when tax time rolls around again, it will be stress-free for you. Next articleWhat Is a Virtual Assistant? And Do You Need One?